You don’t need a pair of glasses to see that Ace & Tate is taking the world of designer eyewear by storm (and if you do, please go to ace&tate.com now, you’ll thank us later). By cutting out the middleman (#spoileralert for all overpriced opticians), Ace & Tate is able to offer a pair of (handcrafted) designer glasses for just € 98,00, including the lenses. From the company’s headquarters in Amsterdam they are revolutionizing the way we think about eyewear. Mark de Lange (31, founder) came up with the idea of Ace & Tate because he wanted to be able to change his eyewear as often as he changed his sneakers. Without making any compromises he wanted to create the best quality product for the best possible price. And so his brand Ace & Tate was born. The name Ace & Tate is not a big mystery. Because it’s all about the product it comes directly from the material acetate (which all the frames are made of). Ace & Tate is growing quickly. The company started pretty small and continues to operate completely independent. Over the last couple of months they went from 3 to 14 employees at their head office. The optical industry is very old fashioned and the lack of innovation motivated Ace & Tate to try a different approach. It’s not rocket science that people don’t want to pay overpriced fees for a rather limited service by an optician. That’s why Ace & Tate decided to cut out the middleman completely. At Ace & Tate you can easily order a home trial package with up to four frames to try at home. 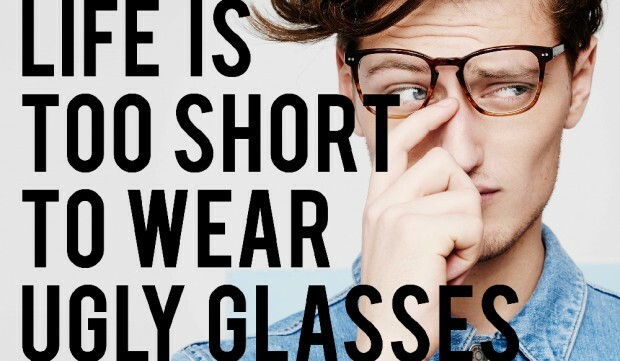 So say goodbye to your optician, who is probably someone with a completely different set of style esthetics. You won’t miss him breathing down your neck, waiting for you to buy a pair of glasses. The Dutch market is pretty compact, but supposedly a very good test market for other markets. To create instant brand awareness Ace & Tate launched pop up shops at ‘Hutspot’ and ‘de Bijenkorf’. Here people can try on the glasses and see how they look. Ordering is always done online. Ace & Tate will not launch in other countries but aims for metropolitan cities. Over the next couple of months the brand will launch in London and Berlin. At DEARDAN&Friends it was love at first sight. Where Tidal (read all about Jay-Z’s latest pet project in our previous blog) missed the boat in terms of brand credibility, we feel Ace & Tate is creating momentum. In a short period of time they succeeded in putting together a great product and a smart strategy to create instant brand appeal that reaches out to a large audience. Let’s hope Ace & Tate will not be blinded by their succes and will continue to be kind to the people around them (here and in China, where the frames are made) but also to the environment. The sustainable Black is the New Green collection sounds very promising. We predict they will follow other succesful brands like Uber and Airbnb. And it’s no coincidence that these brands also created market space and new demand by successfully eliminating the middleman. Times are changing. Thanks to Ace & Tate and FashionUnited.